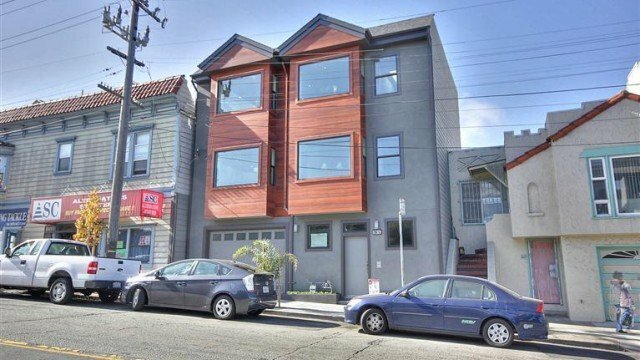 Brand new duplex with a beautiful, open, and bright floor plan in the desirable sunny portola district. State of the Art craftsmanship, quartz counter tops, high-end stainless steel appliances, and gorgeous hardwood flooring throughout the entire building. UPPER UNIT: 2 bedrooms (1 en-suite) 2 Baths; LOWER UNIT: 2 levels with 3 Bedrooms (2 en-suite) 2.5 Baths, with wet bar. Restaurants, shopping and public transportation within the same block and freeway access only one a minute away.